Mayflex has formed a distribution agreement with Entertech Systems to provide Suprema biometrics for access control to the UK market and will also offer the BioConnect identity management platform. Gary Harmer, director of sales, electronic security at Mayflex comments, “We are delighted to be working with this new vendor partner. The introduction of Suprema and Entertech Systems allows Mayflex to bring another vital piece to an IP security installation. 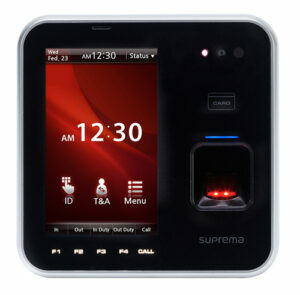 We already have a number of industry recognised access control solutions in our product portfolio; however with the addition of biometrics we are meeting the demands of those installations that require that additional level of security, such as data centres, cash handling offices, or environments where sensitive records such as HR information is kept.